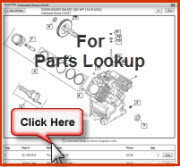 Listed below are Kohler Parts List in Adobe PDF format that you can download for free. Click on your engine listed below to download. You will need to have Adobe Reader installed on your computer to view these. The part number in these parts list have probably been superseded a few times so if there is a problem give us a call 888-652-3990.